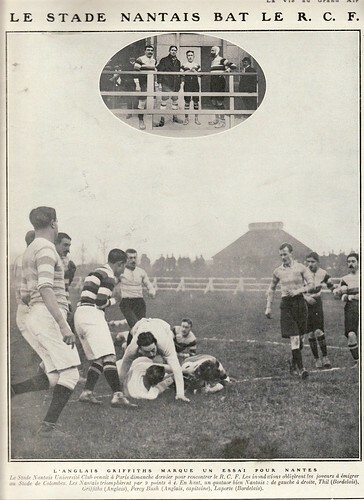 This picture, from La Vie Au Grand Air - Nov.1910 - shows the SNUC guys before a 9 -4 victory over Racing Club de France in Colombes. 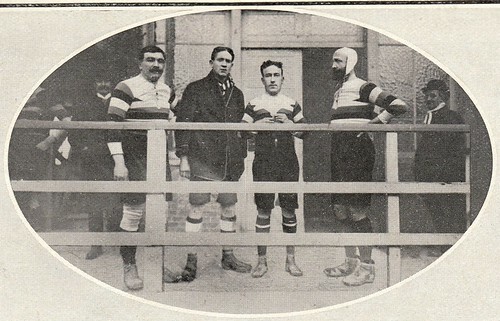 The two other gentlemen are Hélier Thyl, a 90kg winger from Bordeaux (5 times champion between 1904 and 1909), and Mog (?) 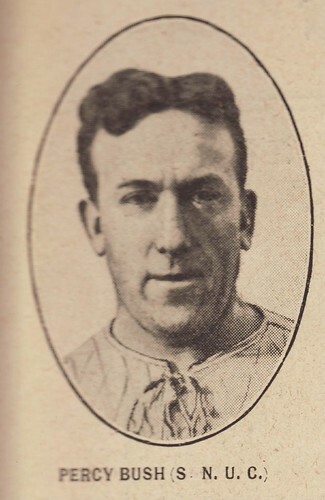 Griffiths, who is believed to be a friend of Percy Bush - formerly playing with Cardiff. 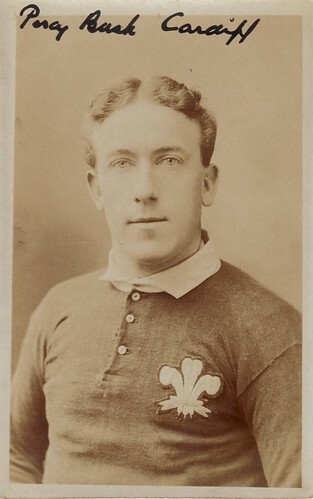 I am not very sure about the identity of this Mr Griffiths, but I am sure that he scored the winning try that day (full size pic : caption reads "l'Anglais Griffiths marque un essai pour Nantes") ! Special thanks to John and Roger to helped me to gather some information about Percy Bush. Il a une bonne tête de banquier dans Lucky Luke. J'ai des pages rugby de la revue "Le plein air" que j'ai scanné. Comment faire pour vous les transmettre ?